With farmers "regularly committing suicide" and jobless youth taking their lives, an unprecedented agrarian crisis and unemployment are the two biggest issues that will power the Congress to dethrone the Vasundhara Raje led-Bharatiya Janata Party (BJP) government in Rajasthan, asserts Congress leader Rameshwar Lal Dudi. Confident of the Congress coming to power in the state with an absolute majority, the Leader of Opposition in the Rajasthan Assembly squarely blames the Raje government for the acute agrarian crisis in the state that has led to over 350 farmers taking their lives since 2013. "Once known for its agricultural prosperity, Rajasthan is now infamous for farmers committing suicide on a daily basis. For the first time, Rajasthan is witnessing farm suicides. Thousands of farmers are reeling under debt because this government's sole focus has been corruption," Dudi said in an interview. 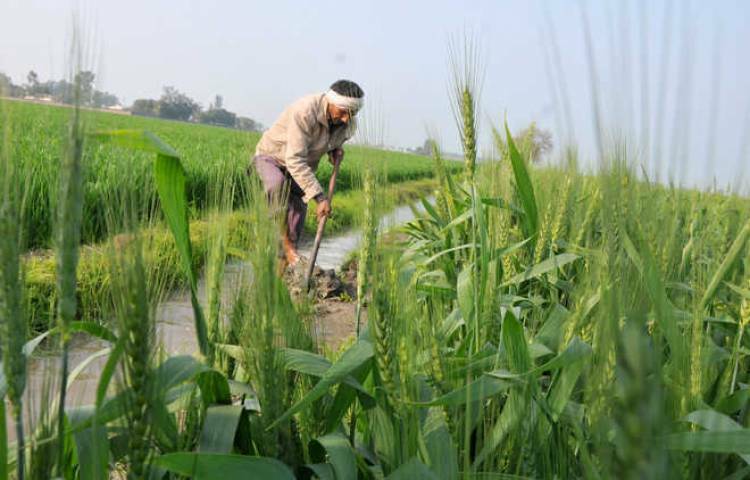 "From Prime Minister Narendra Modi to Chief Minister Raje, the BJP keeps singing its tune of giving MSP (minimum support price) for various crops and crop insurance. But the reality is they are pushing the farmers to the brink and covering up their suicides," he said, claiming "over 350 farmers and agricultural labourers have taken their lives since the Raje government came to power in 2013. Vying to retain Nokha constituency in Bikaner district, farmer distress and unemployment are the focal points of his campaign. Known for his image of a leader fighting for farmers' rights, Dudi, a former MP, is pitted against BJP's Biharilal Bishnoi, who had unsuccessfully contested from Nokha in 2013 as an independent. "One can imagine the state of the economy when youth are killing themselves because they can't find a job," he said referring to four unemployed young men flinging themselves before a train in Alwar earlier in the month. Led by party president Rahul Gandhi and supplemented by former Chief Minister Ashok Gehlot and former Union minister Sachin Pilot, both chief ministerial aspirants, the Congress' campaign has revolved around bashing the BJP over the agricultural crisis and corruption. Besides promising farm loan waiver within 10 days of coming to power, the Congress has also assured pension for farmers, bringing agricultural equipment out of the GST purview and creating sufficient employment opportunities for the youth. While it is confident of riding on the "huge anti-incumbency factor", the Congress is engaged in fighting its own demons, particularly the internal feud over ticket distribution that has led to disgruntled leaders contesting as independents. Dudi had himself led a fight over tickets after Kanhaiyalal Jhanwar was replaced in Bikaner East constituency. Jhanwar was renominated from the seat following threats by Dudi of not contesting the polls. Incidentally Dudi in 2013 had won the Nokha seat defeating Jhanwar, who had contested as an independent. Earlier, the Rajasthan Congress suspended party leader Spardha Chaudhary after she accused the state party chief Sachin Pilot of "taking money" for ticket distribution. Denied a ticket to contest from Phulera, Chaudhary and her supporters had also demonstrated outside Gandhi's residence in the national capital, prompting the party to suspend her for six years. The war over tickets witnessed the party expelling over two dozens leaders including former Union minister Mahadev Singh Khandela and ex-state minister Babulal Nagar, both of whom are now contesting as independents. Even as he asserted that "all was well" within party and there was no infighting, Dudi conceded the rebels contesting as independents was a matter of concern. "It is a fact that their contesting will result in division of votes, the party leadership has taken the matter seriously," he said. The Congress infighting has also given the ruling BJP much-needed ammunition. Campaigning in the state, BJP president Amit Shah had ridiculed the Congress, saying the "party which couldn't keep its house in order is dreaming of ruling Rajasthan". Another contentious issue for the Congress is multiple contenders for the chief ministerial post. While Gehlot and Pilot are being seen as the top two claimants, Gehlot added further fuel to speculations saying there were multiple faces for the hot seat, including Dudi and former Union ministers Lal Chand Kataria and C.P. Joshi. Preferring to remain evasive about his chief ministerial aspirations, Dudi asserted there was no contest over the post and whoever the Congress high-command decides as the chief minister will be acceptable to one and all. The 200-member Rajasthan Assembly goes to the polls on December 7. The results, along with that of Chhattisgarh, Mizoram, Madhya Pradesh and Telangana, will be declared on December 11.